As a member of the English Toastmasters Association, Michael has been trained to the highest standards and you can be assured that you are receiving the highest level of professionalism and the best possible service. How special is it to you? You have probably or will probably spend years and months, planning and worrying about it, as you need it to be, not just right .... but ...... perfect. The most perfect wedding of all time. A time when each of your friends and families join together to share the love and joy of your special day; to witness the commitment that you will be profess. When should you Not be worried? On your wedding day. Look ahead now..... to your actual wedding day and see yourselves being happy and carefree, with you both being the centre of all the attention and everyone relaxed and having a wonderful time. How can this be? How did this happen? 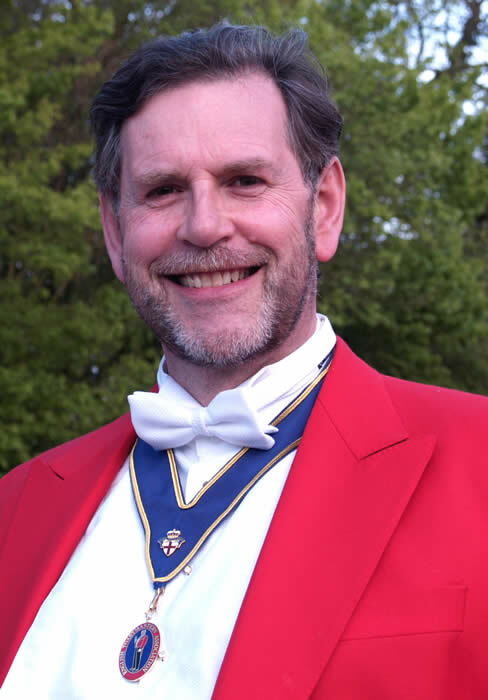 Through using the skills, expertise and dedication of your very own Toastmaster. A toastmaster who will assist you every step of the way with care and respect for the Bride, as though she is his very own daughter. Have your day running calmly and like clockwork.